The sweeping desert landscapes of Nevada hold a great deal of history and natural wonder. This combined with the lush valleys that appear where the rivers meet the canyons mean that Nevada is a pretty amazing location to explore some of the many nature centers. Plan a day with family to explore one of our top 10 picks for the best nature centers in Nevada. Nevada's first National Conservation Area, Red Rock Canyon offers the two million visitors that visit each year some of the best hiking and rock climbing in the area. The rock formations combine with the local wildlife for a unique view of life just beyond the busy Las Vegas strip. Beyond the recreational activities, the area is home to a wide range of educational and conservation activities to pay tribute to the beauty of Red Rock Canyon. 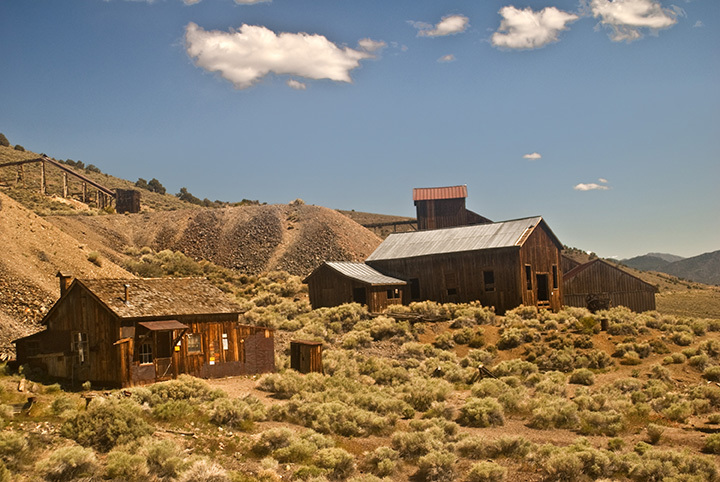 The historic site combines an interesting display of fossils with the natural decay of a old west ghost town to explore the environment in a slightly different way. The fossils take you back to a time where the land was actually underwater, while the remains of the ghost town take visitors back to a time of economic boom. There are plenty of hands on activities to explore while taking in the fossils. Galena Creek is a stunning educational outpost that offers a range of family friendly activities. Whether you enjoy a guided hike to explore the local habitat of many different animals species or have a teen who would enjoy attending a science camp on site, the focus on nature and science is worth exploring. The refuge was opened in 1931 to protect the dwindling population of antelope in the area, but has become home to many more species of desert animals. The refuge offers visitors a first hand look at species they may not find many others places and is open year round. The nature preserve offers interpretive trails that are family friendly with a portion accessible to wheelchairs. Educational activities for families include kiosks to explore local plant life as well as an adjacent site that is used by local school districts for their outdoor school programs. Some of the best learning comes out of experiences you will never forget. This is the case with the Tortes rescue efforts of the Friends of Red Rock Canyon. Learning about why conserving valuable animal habitat becomes even more real as volunteers tend to tortes needing care. The ecology of local wetlands is the focus of this site that includes family friendly trails, areas for bird watching and a large nature center for educational programming. The area is well known for some of the most diverse bird populations in the state as well as an amazing variety of desert and basin flora. This private haven for all types of animals offers a unique range of educational activities for locals. One of their most popular events is a study of spirit animals that explores how animals communicate via behavior. They offer a range of hands on educational activities and volunteer opportunities. This organization is focused on honoring and conserving the diverse wilderness around the state. This includes educational activities volunteer clean up of local wildlife sanctuaries to encourage both local plant life and animals to continue to flourish. The group encourages learning through hands on work. Springs Preserve is the location of a sprawling 110-acre desert garden and natural animal habitat. The location is also an educational center with guided tours, hands on classes and traveling historical displays. Whether you enjoy exploring the gardens on your own or take a class, there is a great deal to learn from the desert flora. View more Nevada Nature Centers and Botanical Gardens.